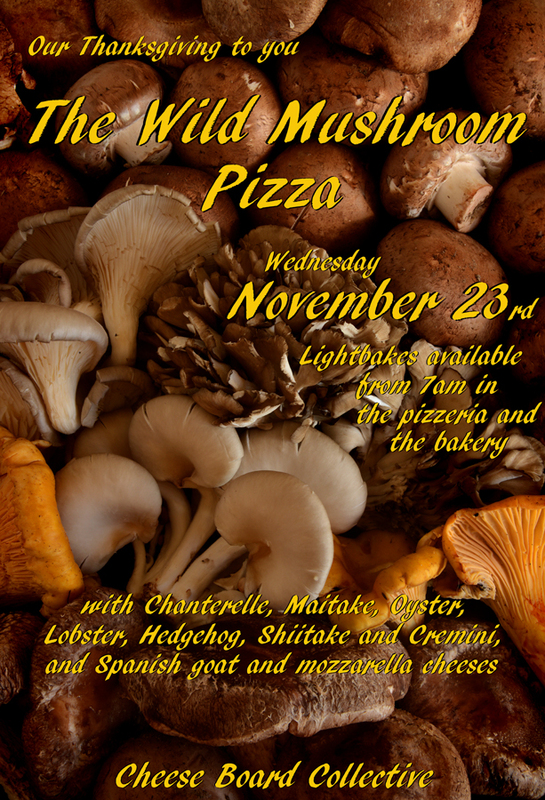 Wild Mushroom Pizza is back! Our way to say thank you to our wonderful patrons. Wild Mushroom Pizza: Chanterelle, Maitake, Oyster, Lobster, Hedgehog, Shiitake and Cremini, and Spanish and Mozzarella cheeses. Re-open Tuesday, November 29 for regular business hours. In addition to our regular breads, we will be selling various sweet loaves and brandied fruit cake. 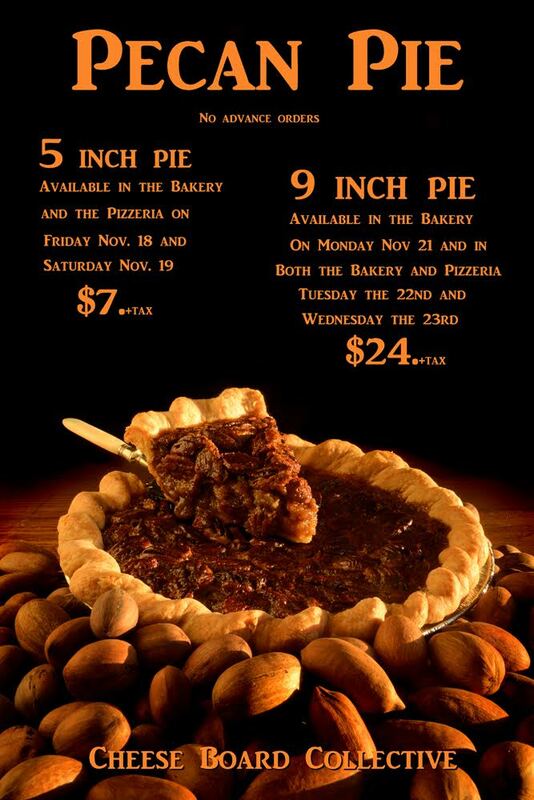 On Friday and Saturday we will also have lemon-almond cake, ginger bread, and pecan pie. Breads: THURSDAY breads, pumpkin bread, stuffing bread, various sweet loaves, brandied fruit cake, Gluten Freedom bread, lemon-almond cake, ginger bread, no pitas. Breads: FRIDAY breads, pumpkin bread, various sweet loaves, stuffing bread, brandied fruit cake, lemon-almond cake, ginger bread, pecan pie, no challah. Breads: SATURDAY breads, ciabatta rolls, pumpkin dinner rolls, biscuits, various sweet loaves, lemon-almond cake, ginger bread, pecan pie, no focaccia or pletzel. Re-open Monday, November 28, for regular business hours.